Back by popular demand, the April Special is the Cuban Punch! 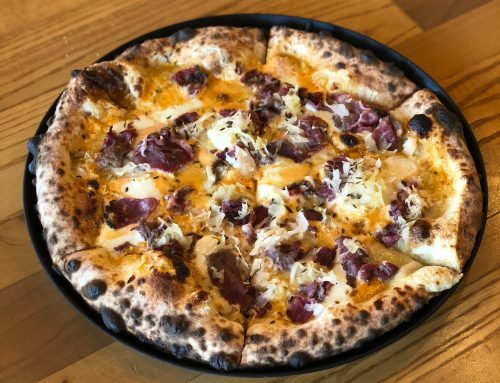 Based with our Hard Knox dough, covered with our homemade white sauce, layered with swiss cheese, extra virgin olive oil, prosciutto and local Archer’s Barbeque pulled pork. 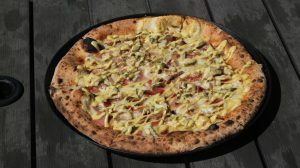 And finally, when it comes out of the wood-fire oven, it is topped with Hard Knox’s very own homemade spicy pickles and homemade mustard aioli sauce. The taste of the Cuban Punch is unforgettable. The Cuban Punch was created by Hard Knox’s previous manager Adam Isabelle. 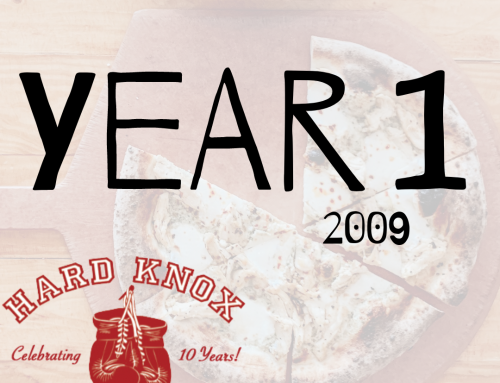 At Hard Knox we are always looking for innovative and creative ways to integrate in house creations and local products to develop unique pizzas. 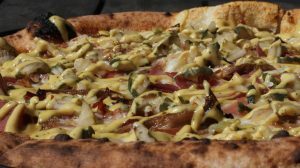 We knew that our spicy pickles would create a really unforgettable and awesome pizza. So we created the Cuban Punch! 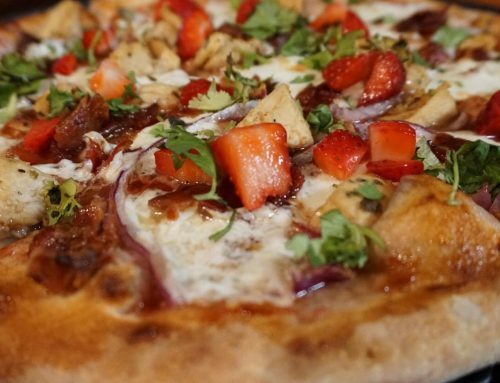 It’s basically a Cuban sandwich on a pizza- what is better than that? The Cuban Punch is one of our customer’s (and ours!) favorite specials. 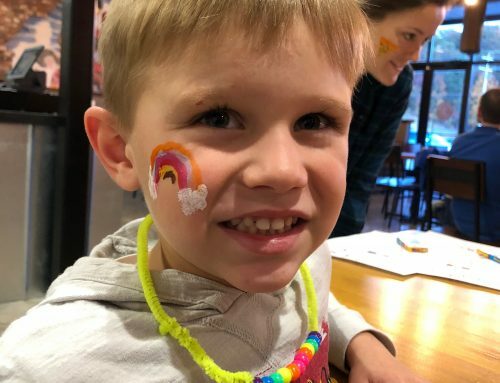 We love appealing to what people love to eat so, we continue to bring it back! Whether you count down the days till we bring it back or you’ve never tried it before, the Cuban Punch is a pizza you don’t want to miss! Come in to either location for the entire month of April to give it a try!